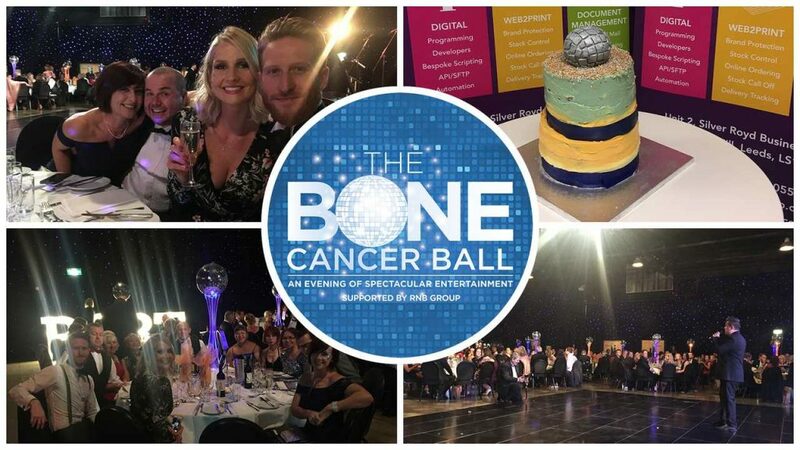 RNB Group proudly sponsored The Bone Cancer Ball in early October, a black tie event with over 400 people in attendance at the Royal Armouries, Leeds. A great time was had by all with a live auction, three course dinner, drinks and of course plenty of dancing late into the night. It was all for a fantastic cause. An incredible £56,070.97 was raised on the night for Bone Cancer Research Trust, an amazing charity who aim to raise £1,000,000 this year. Colleagues who attended the event placed a winning bid of £200 on behalf of RNB Group on a wonderful cake (pictured). The cake was made by 12-year-old Mia whose sister has been diagnosed with a form of bone cancer. Needless to say the cake went down very well with colleagues when it was brought into the office the following Monday! Latest news…We’re proud to announce the Bone Cancer Research Trust as our 2019 charity partner! You can read all about our partnership here.